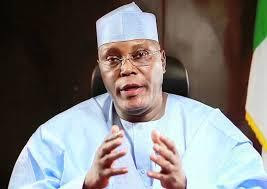 A statement announcing his resignation from the APC made available to the media by the Atiku Media Office, the Waziri Adamawa did not however reveal any plan to join any political party. On December 19, 2013, I received members of the All Progressives Congress at my house in Abuja. They had come to appeal to me to join their party after my party, the Peoples Democratic Party, had become factionalized as a result of the special convention of August 31, 2013. The factionalization of the Peoples Democratic Party on August 31, 2013 had left me in a situation where I was, with several other loyal party members, in limbo, not knowing which of the parallel executives of the party was the legitimate.